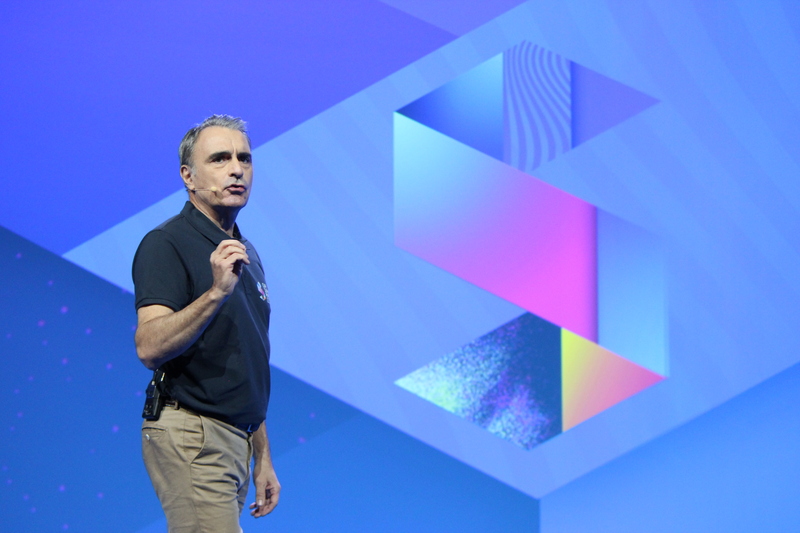 Feature image: Mark Collier, chief operating officer of OpenStack, took the stage at OVH Summit to recognize the Paris-based cloud provider for the scale at which it runs OpenStack in a public cloud. Ask Michel Paulin, the new CEO at Paris-based OVH about how the firm plans to compete against hyperscale public cloud providers in the North American and Chinese markets, and he’ll be honest with you – he’s not going to compete. At least, not in terms of scale. Enterprises that are migrating to a hybrid cloud infrastructure in the near future aren’t likely to put all their workloads with a single vendor, he says. Using several different cloud providers for different purposes is more likely. In that scenario, the IT department might value the freedom to move their workloads in and out of the cloud with freedom. Without fear of the dreaded vendor lock-in. That’s what OVH framed as its core differentiator at its OVH Summit Oct. 18. The European firm that started as a web hosting provider in 2004 and has grown today to a public cloud service provider in six different regions. It manufactures its own servers and builds its own data centres, according to company executives, but it’s firmly committed running on open source software. Specifically, it’s built on OpenStack, an open standards platform designed to manage public and private cloud infrastructure, which bills itself as one of the fastest growing open source communities in the world. The value of both the future hybrid cloud market and the importance of open source to the enterprise was given a big endorsement this week when IBM Corp. acquired Red Hat for $34 billion. In its press releases and on a follow-up conference call, IBM made clear that it intended to remain committed to open source. Red Hat built its whole professional services model on top of its Red Hat Enterprise Linux operating system, which is free to install. “The way to accelerate hybrid cloud adoption is to pick a common fabric,” said Arvind Krishna, senior vice-president of public cloud at IBM. It’s almost like he stole the script from OVH Summit. Not that it’s necessarily big enough to be a blip on IBM’s radar. It was raising money as recently as 2017 and is working towards the goal of hitting $1 billion in annual recurring revenue. OVH counts 28 data centres at 12 sites in six different regions. IBM has at least 60 data centres in 19 regions. Hence the need for OVH to focus on a different message other than scale. The one it’s running with is a brand that’s known as the alternative cloud provider. During his keynote, which was delivered in French and live-translated to English, OVH founder and chairman Octave Klaba tapped into the “techlash” sentiment against Silicon Valley tech giants due to recent high profile data breaches. With tongue planted firmly in cheek, he continued. Octave Klaba, co-founder of OVH, does not look like he’s crying about competition from tech giants. Klaba, who recently handed off the CEO hat to Paulin so he could take on another collaborative initiative to create more $1 billion revenue firms in Europe, previously lived in Montreal for two years to help OVH set up its business in Canada. The Montreal location, featuring six data centres, is OVH’s head of operations for the Americas excluding the U.S. (which is run as a legally siloed division) launched its Canadian business in 2015. 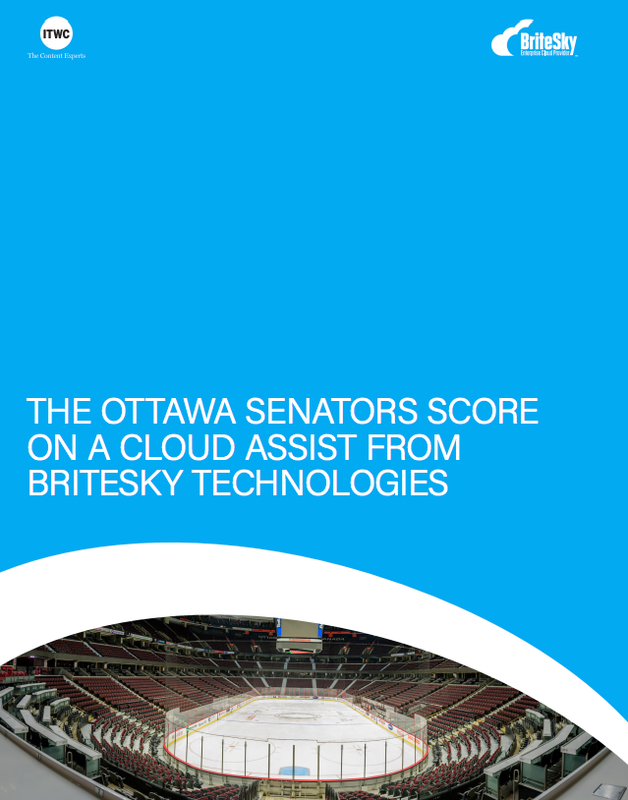 In 2016, it formed a partnership with Rogers, providing its public cloud service as the white labeled Rogers Public Cloud. And with the help of an unnamed partner, OVH already counts the Government of Canada among its customers, something that it boasted about on stage. Of the four different services “universes” that OVH delineated at its Summit, it’s OVHspirit that is most popular in Canada at the moment. This isn’t the public cloud service, but for firms that have the interest and capability to tailor their own custom infrastructure. That’s done on top of OVH’s servers in its data centre, but everything going up the stack from bare metal is up to the administrator. Pin compares it to buying a bucket of Lego blocks, with no instructions on what you should build with the pieces. OVH executives say Canada is in its top three markets of focus. It ranks behind France, where OVH was founded, and Poland, where Klaba was born. OVH CEO Michel Paulin has been on the job for less than two months. The Montreal offices are home to research and development operations and support in addition to services delivery operations, employing about 160 people. To continue growth in Canada, OVH will need a partner platform to broaden the market beyond infrastructure geeks. It needs partners that will be able to take its public cloud offering and tailor it to fit customers in different verticals, with different business models. In France, OVH currently offers its Visibility program. It allows independent software vendors access to the OVH Marketplace, an online catalogue of software as a service that isn’t available in Canada. A program that caters to managed service providers and systems integrators is in the works to launch in France before the end of the year. The plan is to internationalize that in Q1 of 2019. Pin says he’s hearing lots of interest from partners in Canada. He hopes to have more details to offer them by the end of the year. While OVH has made some key partnerships to deliver on contracts to the government, there’s nothing formalized in place. “We keep doing business, we’re not stopping because we don’t have partners,” he says. From a technical standpoint, OVH can point to many impressive metrics for what it can provide from an infrastructure environment. It may not be IBM, but with the capability of manufacturing 400,000 servers per year out of its 15,000 square meters, France-based plant, there’s no doubt it can take on as much business that’s willing to come its way. On stage at the Summit, Chief Technology Officer Alain Fiocco made a bevy of announcements about new and upgraded service. 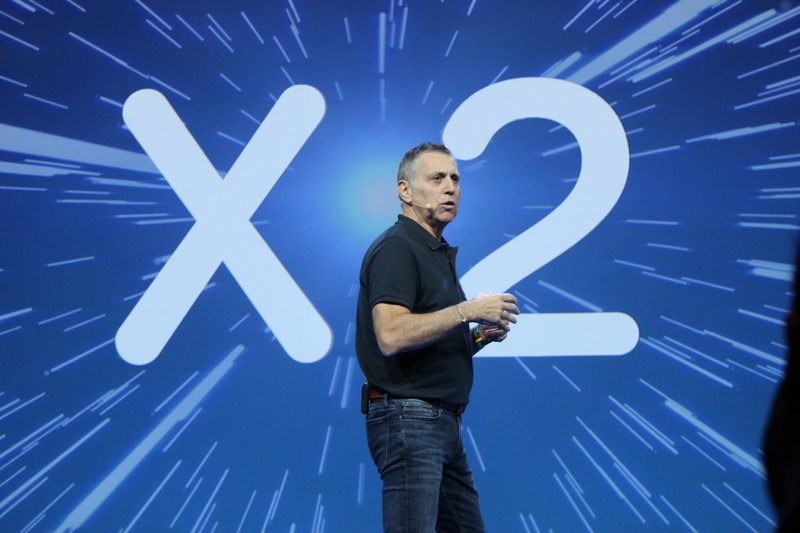 Bandwidth for customers in Europe and Canada is doubled to 1 Gbps and will be the new standard going forward. OVH CTO Alain Fiocco introduced a new, faster bandwidth default for OVH services. “We like customers to grow with us, so we’re giving them some elbow room to do that,” he said. He also unveiled a Managed Kubernetes offering, an open source offering that provides Kubernetes to companies that don’t want to maintain the software and infrastructure supporting it. The offering is in private beta to start, but customers can create a free master profile and then pay as they add more workers to that template. It sounds a bit like a miniature version of Openshift, Red Hat’s Kubernetes platform that IBM said was so important for the future of hybrid cloud. OVH’s commitment to open source is a way for this smaller cloud player to compete with giants like Amazon Web Services, which launches thousands of new cloud services every quarter thanks to a vast army of developers in its employ.